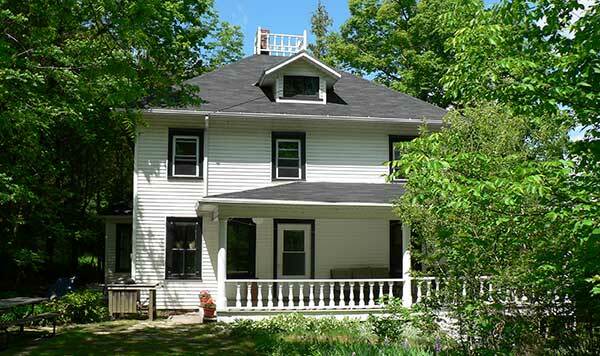 Door County home for vacation rental in the heart of Fish Creek, Wisconsin. House accommodates up to ten guests for weekly or weekend rentals. Welcome to the Ellmann House, Door County's premier home rental for the visitor looking for something special. The house is located in the historical district of Fish Creek in the heart of Door County, Wisconsin. The Ellmann House is a Four Bedroom Home with a magnificent Porch wrapping around three sides of the house offering a wonderful vacation. Contact Us. The Ellmann House was built in 1892 of materials shipped by steam ship and then hauled by hand to its hill side building site overlooking the village. The house was the summer home of Clarence Darrow for five years. 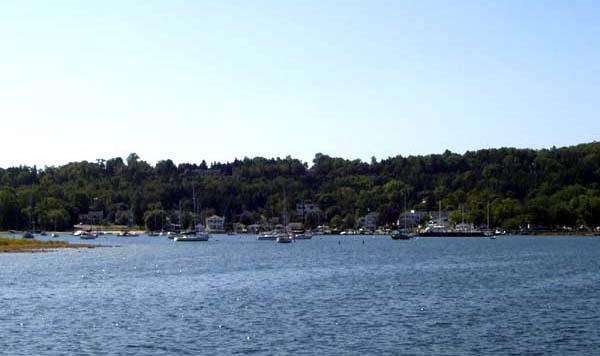 You can walk nearly anywhere in Fish Creek from the Ellmann House for shopping, art galleries, restaurants, the beach, Sunset Point, historical architecture, the town docks and more. Door County offers summer stock theaters, art studios and galleries, many parks and recreation of all kinds. 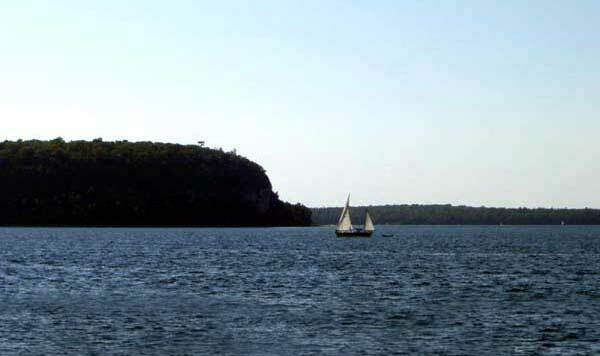 In Door County find boating, golfing, hiking, tours and all kinds of fun! Nothing describes the experience of The Ellmann House like the testimonials from former residents of the house. See the testimonials below and more on the Ellmann House Testimonials page.